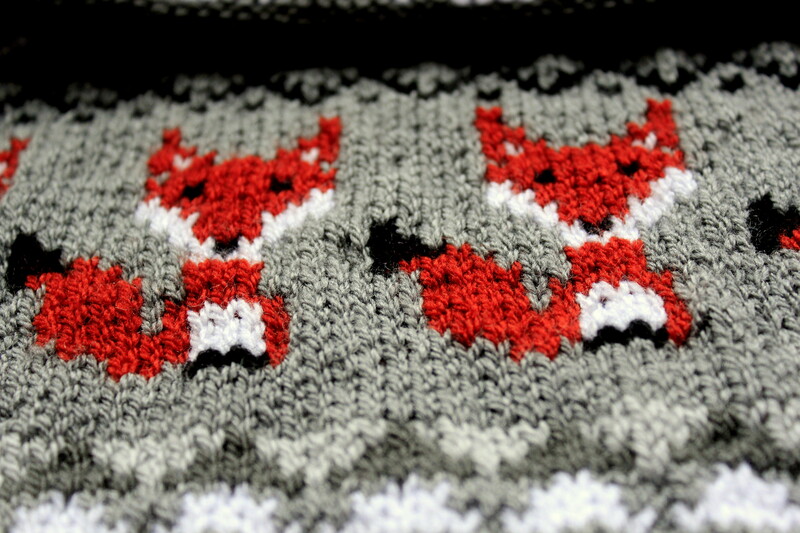 I have finished the knitting part of my winter foxes pillows – I made 2 of matching designs. 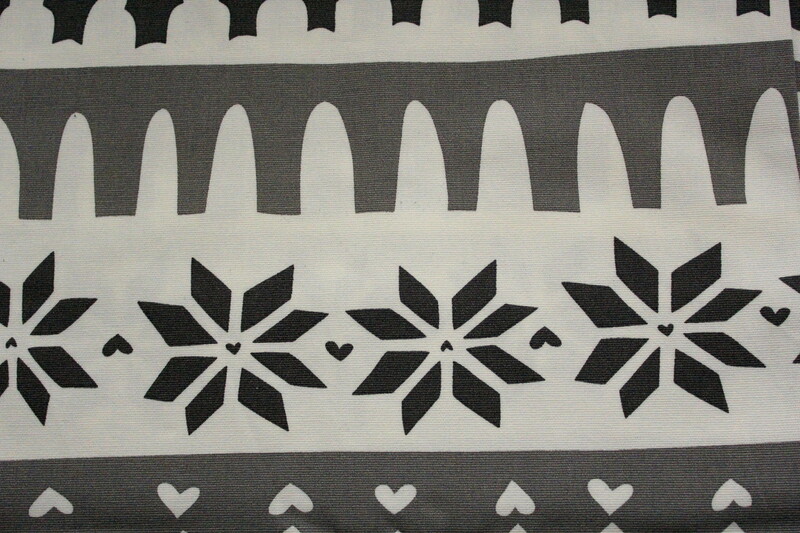 The fronts of the pillows are knitted and the backs will be fabric – I will sew it with sewing machine. 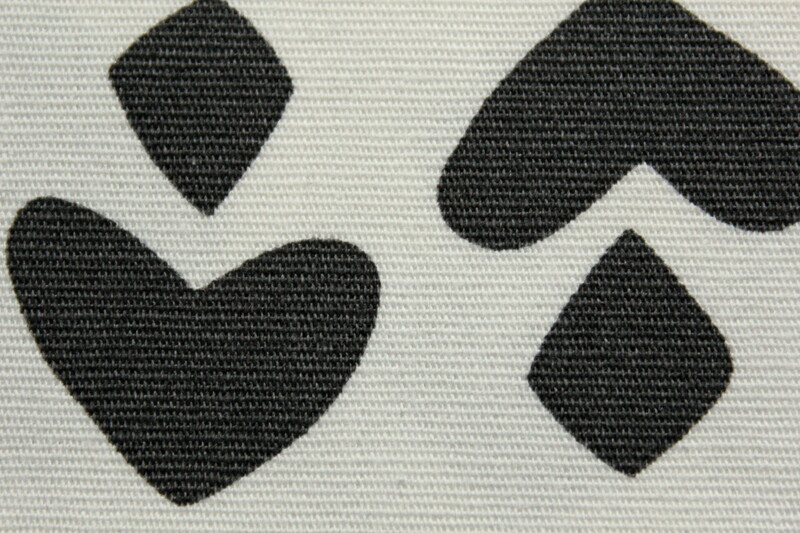 I was very lucky to find perfect fabric for the back. Where I found it? In fancy fabric shop? Noooo. 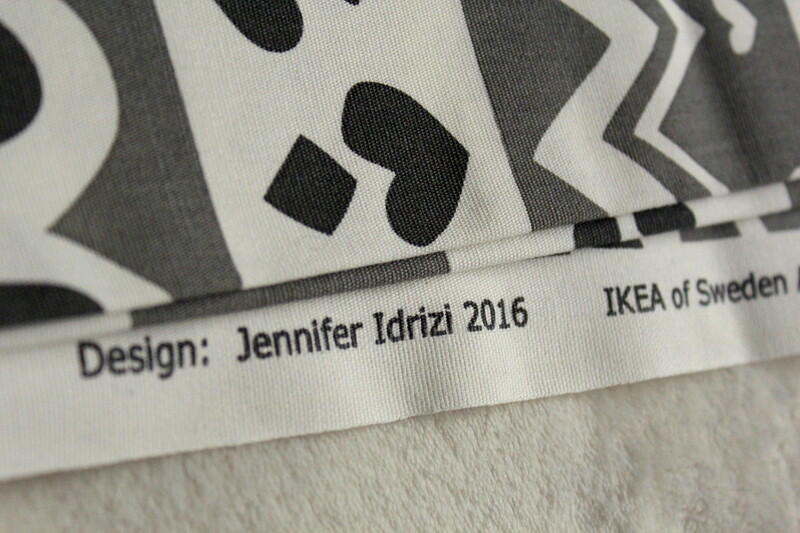 In Ikea! 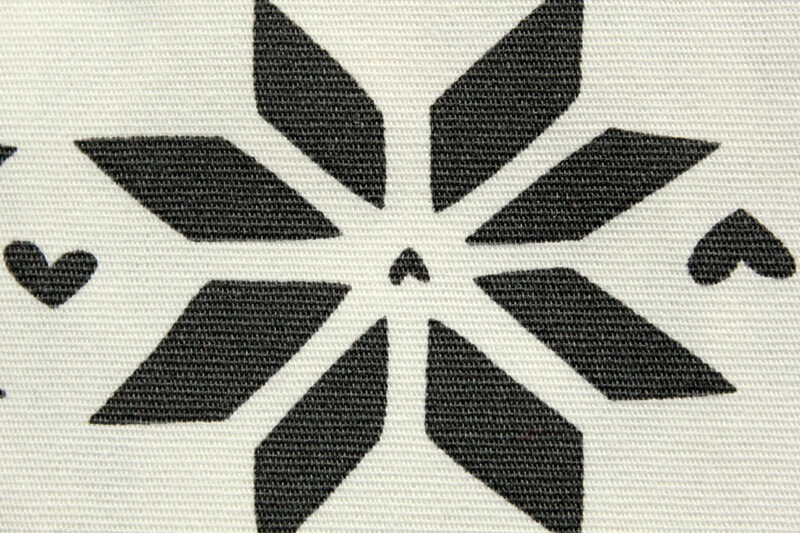 100% cotton – that is what I wanted. It is quite thick, perfect for home textiles. 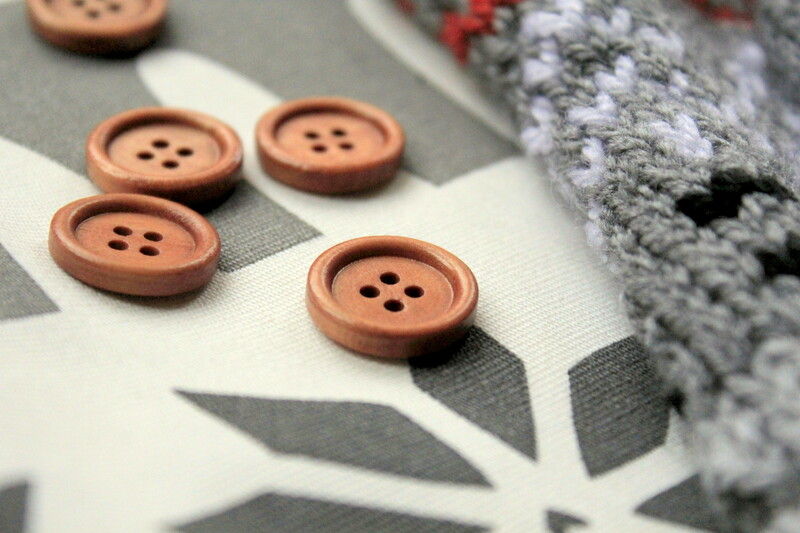 Fabric – sorted, now it is time for buttons. I was pondering, shall I put the buttons at the back, or should I leave slip in opening. 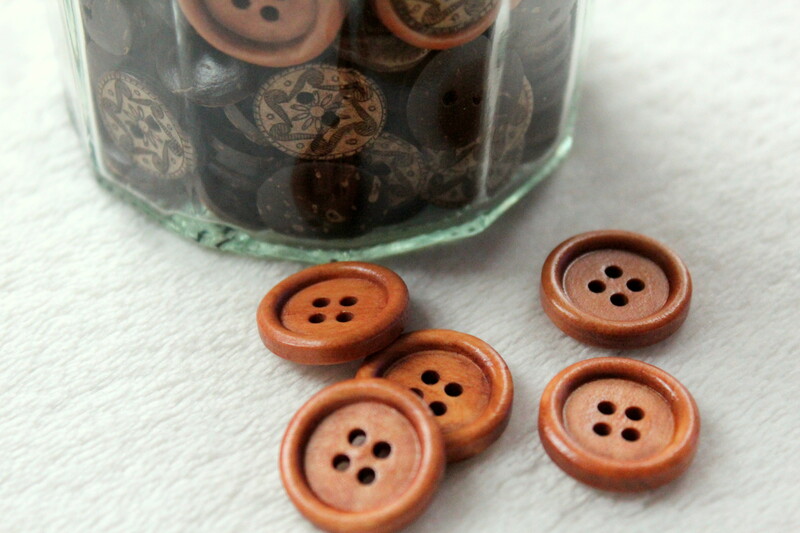 It is a pleasure to sew buttonholes with modern sewing machines (I remember dreading the projects which included buttonholes when I was a teenager – because you had to measure and sew very precisely). They are simple and lovely, aren’t they? I will show you the final result in my next blog post. 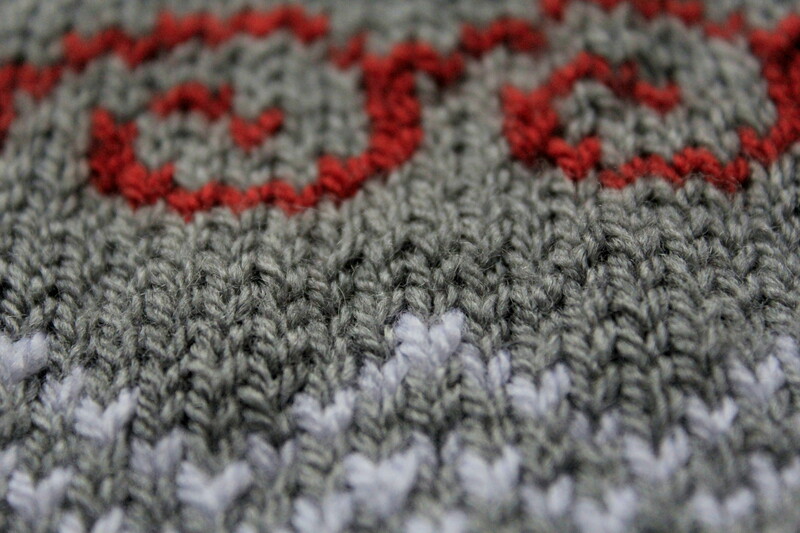 I hope to finish writing the knitting pattern by that time too!